“This ministry exists in answer to the prayers of all those wives, mothers, and grandmothers who have for decades been praying for the men in their lives,” says Patrick Morley, Chairman and CEO of this ministry. A dynamic men’s ministry begins with a clear understanding of your purpose as men in the church. Work with your pastoral and men’s ministry leadership to develop a Biblically-based vision statement for what you want to accomplish in your men’s ministry. The senior pastor’s enthusiastic support, a man passionate about reaching other men, a committed leadership team, and the right strategy. 2. Be purpose driven rather than event driven. Men want to be a part of something larger than themselves. Often men don’t come to our events because they don’t see any larger purpose. Make sure that every event you schedule clearly serves your overall purpose. 3. Be relationship based rather than task oriented. Most long-term change takes place in the context of church-based relationships. Events attract men, relationships make them stick. Give men plenty of opportunities for fellowship and conversation. The relationship is the task. 4. Make disciples and pray for workers. The Bible tells us, “Go and make disciples…baptizing them.” Often we get this confused with, "Go and make workers… browbeating them." Too often we set the agenda for our ministry and then pester men to be involved. Instead, we ought to make disciples and then pray that God leads them to a place of service. In 1973 Patrick founded Morley Properties, which, for several years, was hailed as one of Florida's 100 largest privately held companies. During this time he was the president or managing partner of 59 companies and partnerships. 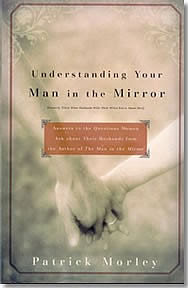 In 1989 he wrote The Man in the Mirror, a landmark book that poured from his own search for meaning, purpose, and a deeper relationship with God. With over 3,000,000 copies, this best-selling book has captured the imaginations of hundreds of thousands of men worldwide, and was selected as one of the 100 most influential Christian books of the twentieth century. Five of his 16 books have received critical acclaim. 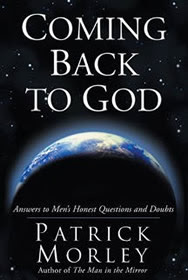 In 1991, Patrick founded Man in the Mirror which has impacted the lives of 10,000,000 men worldwide, has distributed 8,000,000 books, and last year worked with over 40,000 church leaders to more effectively disciple men. Through his speaking and writing he is a tireless advocate for men, encouraging and inspiring them to change their lives in Christ. Every Friday morning since 1986, Patrick teaches a Bible study to 150 businessmen in Orlando, Florida which is podcast through iTunes and webcast throughout the United States and over 50 countries. He has written over 450 articles to help men and leaders, has appeared on several hundred of radio and television programs, and speaks to men daily through The Man in the Mirror radio program carried on 75 stations nationwide. 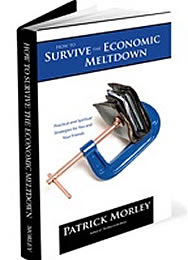 Patrick Morley graduated with honors from the University of Central Florida, which selected him to receive its Distinguished Alumnus Award in 1984. He has earned a Ph.D. in Management and completed post-graduate studies at the Harvard Business School and Oxford University, and graduated from Reformed Theological Seminary. For sport he races a 1974 Porsche 911. He lives in Winter Park, FL with his wife, Patsy. They have two grown children and two granddaughters.